Intercontinental Cry‘s online publication for world indigenous studies is more like a grassroots journal. This site is an excellent example of using technology to connect Indigenous groups around the world. Urgent Action Needed To Protect Ancient Marpole Village And Burial Site From Destruction. Each of these stories goes into more depth and lead to further links and information on the subject. This type of website offers all Indigenous communities who wish to do so, a platform for expressing their concerns about various subjects that affect their communities. I believe this type of media forum can serve to inform each other and the world about issues, and it can also be used to learn from each other. 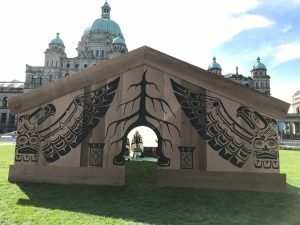 Perhaps such a platform can also provide Indigenous communities with strength in number and offer them ideas and ways to protect their collective histories and ancestral ways. Each web news segment also offers the opportunity to blog, with many comments supporting various causes. It is interesting to note that this site provides the Musqueam people the ability to get a worldwide audience to react to their plight. The story on the Musqueam Marpole ancestral burial site under “Canada” was interesting and will be noted in my final paper. 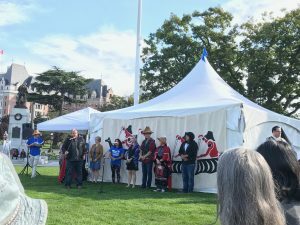 It is my opinion that the Internet was an important tool for the Musqueam people in propagating their issue and in resolving the matter. Thus I conclude that various forms of media: the Internet, blogs, videos, interviews etc. did serve to protect and disseminate their collective history. I also believe that other Indigenous groups can likely use this example as a guide for their own struggles and give them ideas about how to work with government entities to resolve issues. On November 3, I had the fortunate experience to take a group of students to We Day, where National Chief, Perry Bellegarde presented. 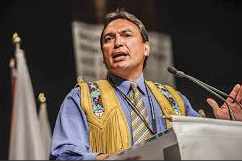 The main issues that he wants to address as National Chief, includes the preservation of First Nations’ languages, education, treaty rights and economic prosperity. As an educational mentor to more than 70 leadership students at my school, I feel that it is important to learn with my students Aboriginal social issues, and come up with strategies in how we can help make changes to better the conditions. Before I lead my students to make change to help others with the healing process, however, I need to first educate myself. I’m starting off with a very basic question: What are the social issues that are endured by First Nations communities? The posts that I am entering for this blog that I am completing for this module will help lead me towards the road to discovery in finding the answers to my question. To help myself answer this question, I first wanted to get a better understanding of how many different First Nations communities there are in Canada. 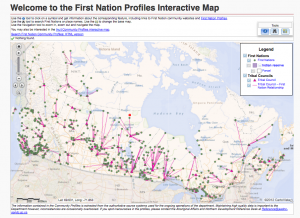 On the Government Of Canada Website, is a First Nations Profiles Interactive Map which gives viewers a geographical visual of the various First Nations communities across Canada. The map also shows the tribal councils attached to the communities, and when zoomed in, the area of each of the reservations can be viewed. A link to the Inuit Community Profiles Interactive Map can also be accessed, as well, links to websites of the various First Nations communities are listed to determine services available within the communities. What is not listed on the map is what various languages are spoken within the communities, nor is the population of the communities. This information would be helpful for example, to develop a better understanding of the amount of supplies needed for the community members if they are in remote or isolated communities. 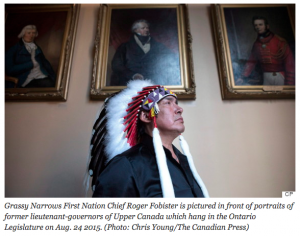 The Centre of Social Justice cites general social issues endured by First Nations communities. Although the statistics are nearly 20 years outdated, the issues are well outlined and a good starting point for research. Of the issues mentioned include: poverty/inequality, lack of access to health care, unemployment barriers, lack of sensitivity and inclusiveness in the education system, and the restriction of civil and political rights. 2. 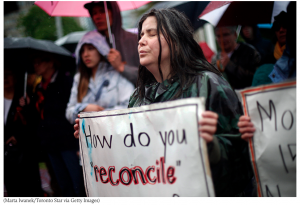 Aboriginal Issues in Canada is a Western University project, created i n 2015. It is a slideshare video posted on Canada News which acknowledges the various issues that Canadian First Nations communities are confronted with. This video would be a great resource to show students as an introduction to the Aboriginal issues. It is not long, and the statistics are current. 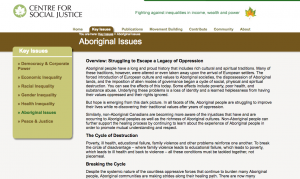 Canada News has many archived videos on Aboriginal issues. Of particular interest to me is the issue of access to potable water within the various First Peoples communities. An article written in the Huff Post on March 9, 2016 by Jessica Chin, titled Canada First Nations Water Issue To Be Fixed: UN, discusses the issue, statistics and politics around access to potable water. Chin cites the United Nations calling upon Prime Minster Trudeau to address the issue because of Human Rights and cultural concerns. Not having all weather roads is a factor contributing to not have access to water. 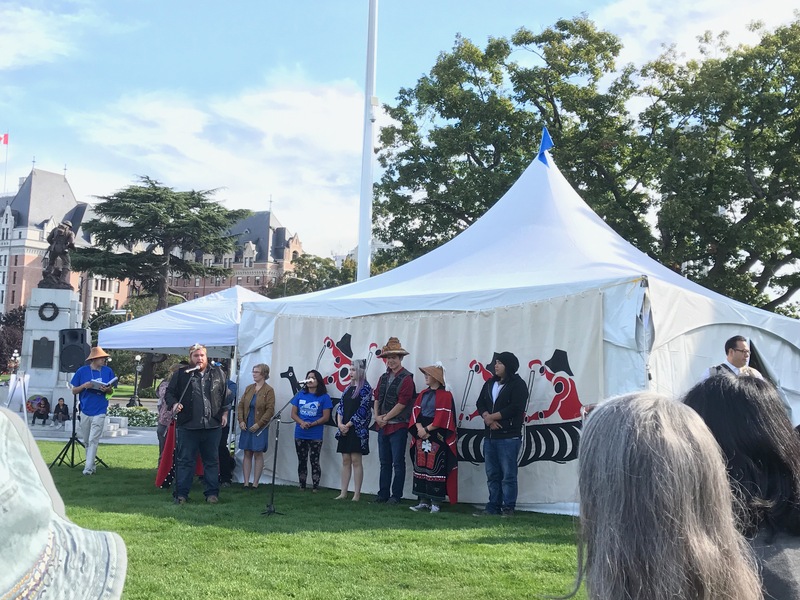 However, access to fresh drinking water is not a problem only to remote or isolated communities but also to those who live on reservations in the lower mainland. The Semiahmoo Nation for example, has become vocal in local media asking for help to solve their water concern. An article can be found here. A summative report written by David R. Boyd, Ph.D., J.D, titled, No Taps, No Toilets: First Nations and the Constitutional Right to Water in Canada contends that the rights of particular Nations from Quebec, Ontario, Manitoba and Alberta “are being violated by the government’s failure to provide safe drinking water, an essential service which is vital to life, health, and human dignity.” Therefore, it will be interesting to see within the next few years how the government plans to take action in correcting his human rights concern.